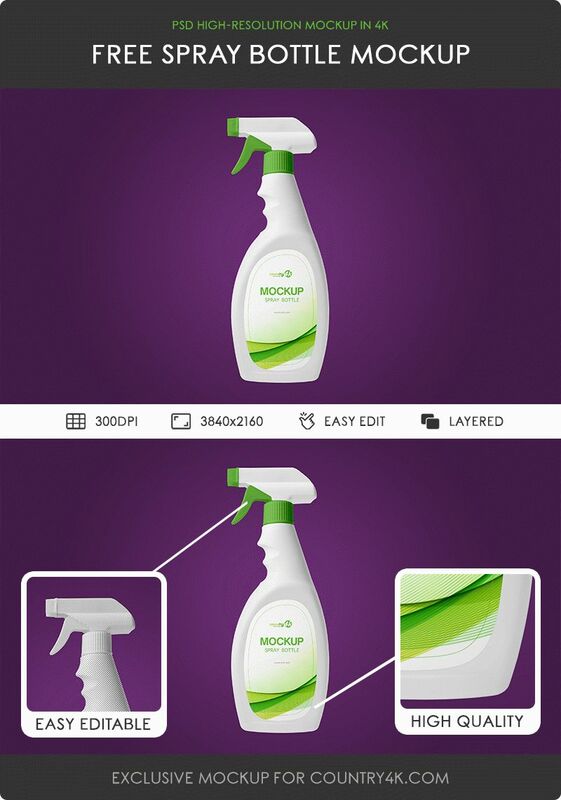 Due to the smart objects, you can easily edit every detail on a spray bottle. 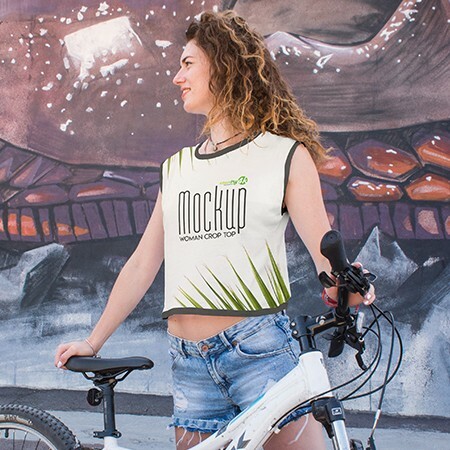 The 4k resolution will allow you to create high-quality presentation of your design. 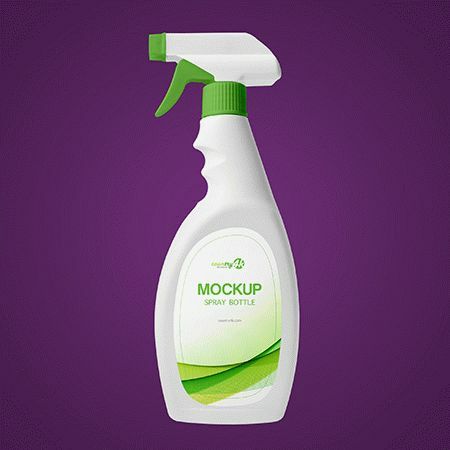 Download absolutely free the mockup of opaque bottle with spray, add your own label design and enjoy the result.